An e-bike from YT? Even YT sounds incredulous about their newest ride – the Decoy. 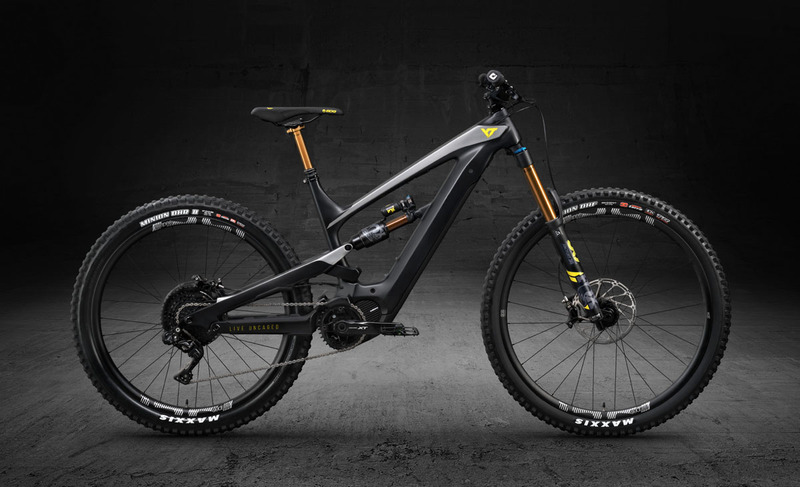 Referring to it “like downhill with a built-in shuttle,” the Decoy is clearly skewed towards aggressive riding with it featured in the “E-Enduro” category on their website. Continuing their run of insanely high production value launch films, The Hunt is almost completely free of bikes. But it’s still worth a watch. For something a little more bike-heavy, this clip of Adolf Silva showing that e-bikes can fly may be more appealing. Is this the first double backflip on an e-bike? The bike itself is a beautiful carbon creation that runs a 29 x 2.4″wheel/tire up front with a 650b x 2.8″ wheel/tire in the rear, and 165mm of V4L (Virtual 4 Link) travel. While mismatched wheels have been used for years with small levels of adoption, it seems that e-bikes are really starting to pick up on the bigger front wheel trend. Which coincidentally, is big in the moto world as well. The bigger rear tire provides increased traction which is needed with the electric assist, while the bigger front wheel and smaller tire rolls over obstacles better and provides improved handling at the front. Built around the 250w Shimano STEPS E8000 drivetrain, the bike has a custom 540Wh battery and a STEPS E7000 display. Range is claimed to be around 100km on Eco mode. In addition to offering extra juice, that custom battery is housed completely inside the downtube – though it can be removed by undoing two bolts and can be charged on or off the bike. Available in the CF Pro Race, CF Pro, or CF Base models, the pricing ranges from $4,999 to $6,999. Available now.